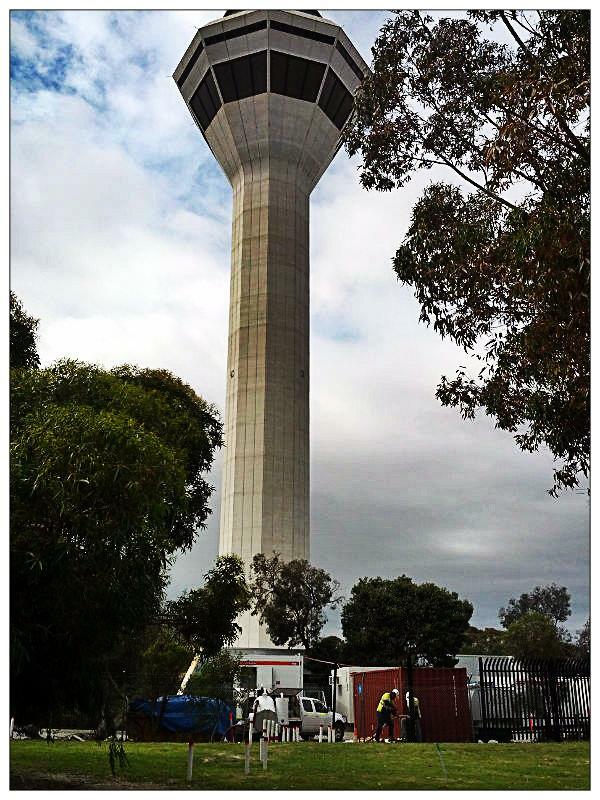 When it came to installing new security fencing around the Perth International Airport Control Tower, DBS Fencing called on No Dig Hire to supply vacuum excavation equipment to install the foundations for the new fence posts. Due to the great number of critical underground services running to the Control Tower, mechanical excavation for the installation of the fence posts was not an option. Severing just one of the many fibre optic cables, running to the complex, would cause catastrophic consequences to the airport and airline passengers. For this reason hand excavation in all areas was specified. Hand excavation in areas where no services were entering the control tower complex seemed a viable solution at first, however once the crew started digging they found that the extent of tree roots in the excavation hampered progress significantly. 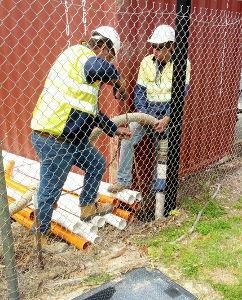 So, in order to speed up the process, a VM450 trailer mounted vacuum excavator from No Dig Equipment was utilised. After a short training session the crew from DBS Fencing was up and running and installing fence holes at three times the rate, compared to manual excavation. In critical areas, where underground services crossed into the compound and potentially clashed with the fence foundation, the vacuum excavator proved invaluable. The ability of the VM450 to safely remove dirt around live services meant that there was no risk of damaging existing pipes and cables. Cables and ducts could potentially have been damaged, even by hand excavation, where a sharp shovel blade could easily slice through a duct, live power or fibre optic cable. The vacuum excavator definitely proved it's worth, being particularly useful around critical infrastructure, exposing tree roots and enabling them to be cut away in a safe, controlled and environmentally friendly manner. Contact us today to hire a Vacuum Excavator VM450 on trailer. Diesel and Petrol powered units available.